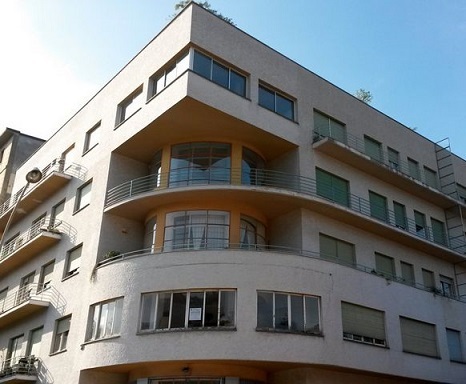 Italian Rationalism is an architectural trend which developed in the Twenties and Thirties. 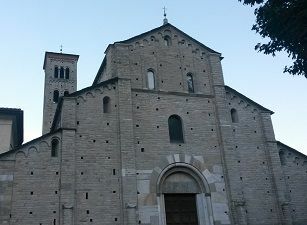 It is based on the principles of functionalism, according to which the appearance of a building must clearly reflect the purpose for which it is created. 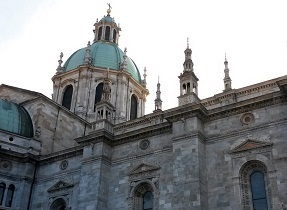 By taking the following rationalist tour, you will have the chance to see the influence that this particular movement had on the city of Como. The Camerlata fountain is located in the middle of Piazzale Camerlata, at the conjunction of the three main roads which provide access to the city. 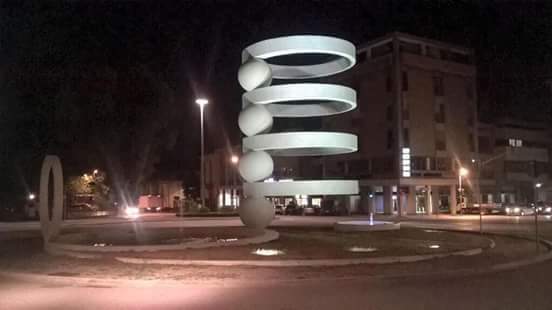 The particular structure of the monument, which is made of alternating rings and balls made of stone, was meant to communicate an idea of order in the middle of the traffic junction for which it was projected. 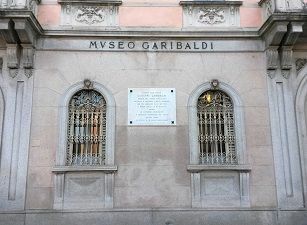 The fountain was designed by Cesare Cattaneo and Mario Radice in 1936, in occasion of the sixth Milan Triennial Exhibition where it was exposed. 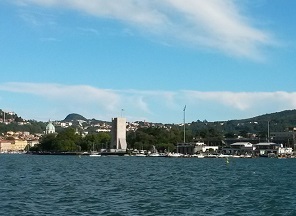 After being destroyed during the Second World War, the monument was rebuilt in 1961 in its current location. Sant’Elia kindergarten was built in 1937 after the designs of Giuseppe Terragni, who wanted to pay homage to the famous Futurist architect Antonio Sant’Elia. 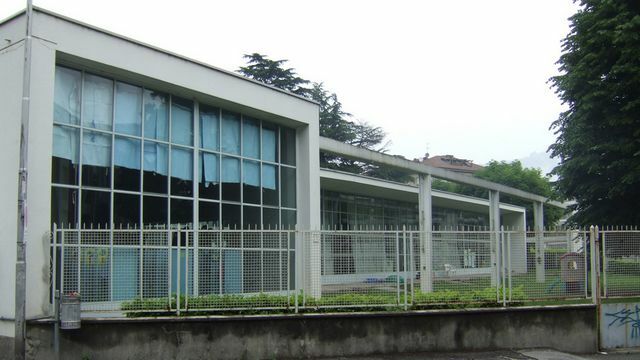 A great example of Italian Rationalism, the building is characterized by the presence of large windows, which develop the idea of open-air school and give the interior full brightness. 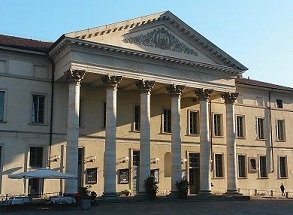 The old Casa del Fascio is the most important building designed by the architect Giuseppe Terragni. Situated in Piazza del Popolo, it originally hosted the Fascist Party headquarters, whereas now is the seat of the provincial command of Guardia di Finanza (one of the Italian law enforcement agencies). The Terragni Palace, which was completed in 1936, is still a reference point for architects from around the world; it looks like a perfect parallelepiped that is characterized by essential lines, which give birth to a perfect equilibrium of full and empty spaces. 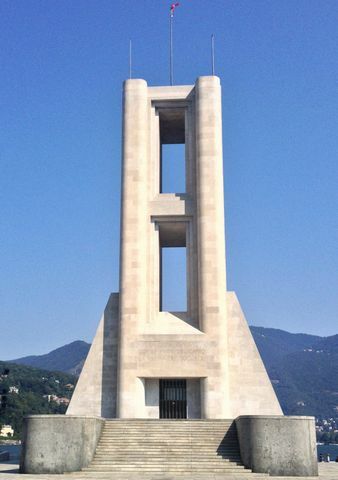 The rationalist tour can continue heading for the War Memorial (locally known as Monumento ai Caduti). On one side of the monument, located on the lakefront of Viale Puecher, you will read the following inscription: “Stanotte si dorme a Trieste o in paradiso con gli eroi” (“Tonight we’ll sleep in Trieste, or in heaven with the heroes“). The memorial is a 30 meter high reinforced concrete structure covered with karst rocks, and was built in memory of local people who died in the First World War. It was inspired by a sketch made in 1914 by the futurist Antonio Sant’Elia, who died in the Great War; even though the original project was meant for the construction of a lighthouse, the painter Enrico Prampolini was later asked to turn it into an architectural work. The War Memorial was finally realized with the help of Giuseppe Terragni. The Como stadium was built in 1927, after the reclamation of the area once known as Prà Pasqué (an old swamp due to the mouth of Cosia stream). 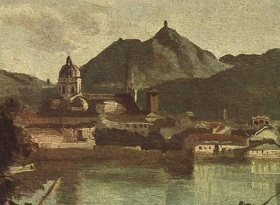 It was designed by Giovanni Greppi and Gianni Mantero, and was named after the local rowing champion Giuseppe Sinigaglia. The stadium is the first Fascist public work which was built in a rationalist style. The Sinigaglia stadium, located a few steps away from the War Memorial, hosts the matches of the local soccer team, Calcio Como. 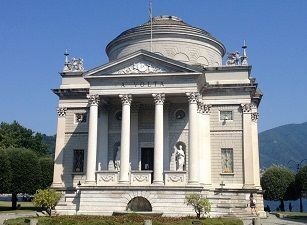 Novocomum is the first rationalist work ever realized in Como by Giuseppe Terragni (1929). 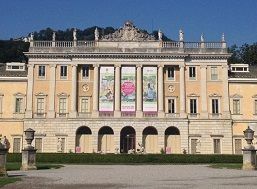 It’s a four floor palace which is characterized by two rounded balconies topped by a right-angled third. 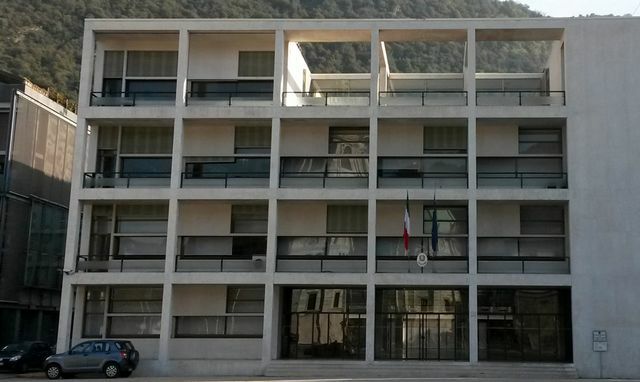 The Novocomum was built with deception, since the project that was originally approved by the municipality looked different from the final result. This was the reason of an inevitable scandal, so the structure risked being demolished. The Novocomum, located in Via Sinigaglia, has been renamed “Transatlantic” by some locals.